This is really important…the way we eat affects the way food nourishes us…Enjoy! Did you know that there is a strong connection between the kinds of foods that you eat, how you eat them, and how you feel afterwards? Especially at this time of the year, when food is in an abundant supply, it is even more important to focus and pay attention to the food that we consume. Your relationship with food is an intimate one. 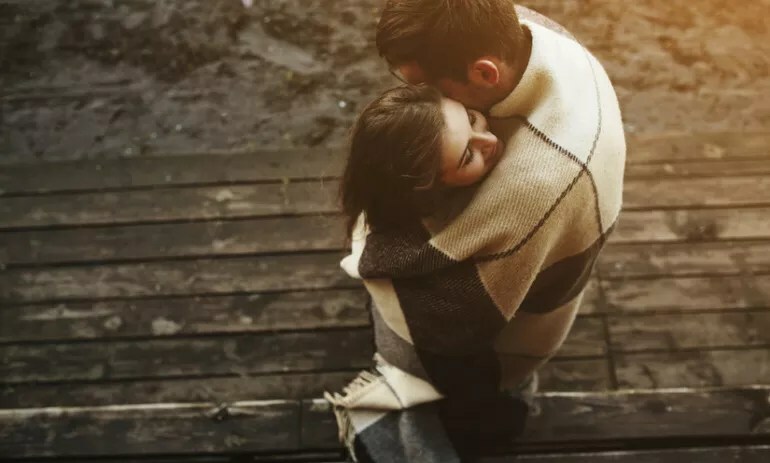 And, just like any kind of important relationship in your life, the more conscious that you can become of it, the more joy and happiness it can bring. At the height of adrenal fatigue, hormonal imbalance, and other chronic health problems, when I was sleeping for up to 20 hours a day and 60 pounds overweight, I became aware that I had been stuck in a chronic pattern of unconscious eating. Due to my busy schedule and tendency to cram too much into my day, I would habitually override my body’s natural desire for proper nutrition by skipping meals. To compensate for this, I would unconsciously eat food on the run, during meetings or while I was working. 1. Take 3 deep breaths before you start eating. Before you eat, breathe deeply. This can positively affect how you think, feel, and act around food. Breathing deeply is a powerful way to quickly center yourself, so that you can let go of distractions and be fully present to the process of eating! 2. Before eating, give thanks for your food. Another thing, I like to do before I eat anything, is to express gratitude for the food that I am about to eat. 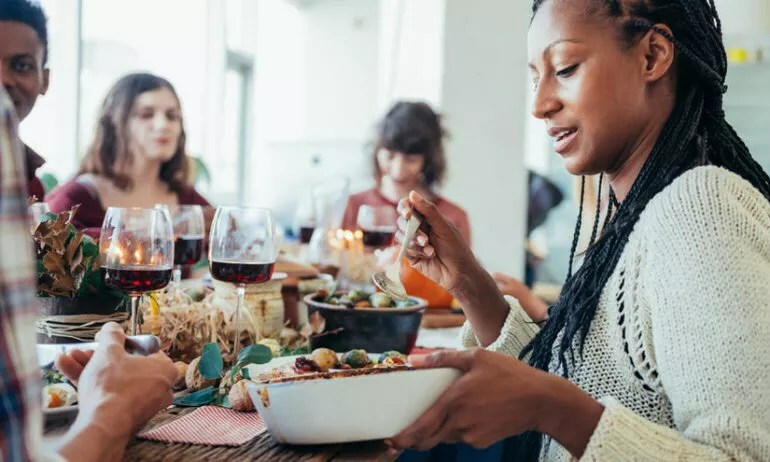 This expression of gratitude can be an internal, personal practice, or it can be a practice of verbally expressing appreciation to your fellow dining guests. For example, before you eat, you can express gratitude to mother nature for growing the food, and thanking that food for helping you to create a healthy, strong body. As another example, you can personally thank whoever prepared the food for you. If you cooked it yourself, take a moment to acknowledge yourself. 3. Sit down comfortably to enjoy your meals. Don’t eat when you’re feeling distracted or emotionally unavailable. Aim to eat when you can comfortably sit down to really enjoy your meals. Instead of eating in your car, at your desk, in front of the TV or your computer, take a moment to sit down and bring all your focus and attention to the food. This can help you to consciously create the body and health that you truly desire. 4. Use cutlery (not fingers) to eat your food. This should be self explanatory, but healthy food usually requires the use of silverware! Understand that most processed foods are designed for convenience (can you imagine trying to eat crisps, chocolate bars or lollies with anything other than your fingers?). Whenever possible, aim to eat real food, from a bowl or on a plate, using cutlery. 5. Chew your food properly. Did you know that digestion actually begins in your mouth? Most people eat unconsciously, and as a result they forget to chew their food properly. With each chewing action, you increase the proper break down of your food, using your teeth and the saliva in your mouth. 6. Slow down and really taste your food. Remember that there is no need to rush the process of eating. Contrary to what you might have experienced growing up, eating is not a competitive sport! Let yourself slow down and relax so that you can really enjoy all the different tastes and flavors of your food, and fully delight in each mouthful that you eat. 7. Stop eating when you’re full. Remind yourself that you don’t have to eat everything on your plate! Eat as much or as little food as you need, knowing that if you get hungry later on, you can always get something extra. Listen to your body, and trust your inner wisdom to guide you as to how much food you need to eat to feel fully satisfied. When you pay attention to eating using these seven ideas, you can break old patterns of unconscious eating and literally transform the way you live forever. As you become more conscious of your food choices and eating patterns, just like I did, you will be able to start to build a much healthier relationship with food. You will be able to enjoy the process of mindfully eating food, while also savoring all the many different tastes, textures, and flavors of food. Conscious eating is a beautiful way that you can make inspired food choices that enhance your long term health and wellness.